Brussels has a temperate climate with four seasons spanning the whole year. Temperatures are relatively mild during the year with the average low at 1C (34F) in winter and only 23C (73F) in summer. Rain is relatively abundant with over 820mm (32in) a year. The best time to visit Brussels runs from mid-May to mid-September, being the mildest of the year. July and August are the warmest months; however, keep a light jacket and an umbrella handy for cool and rainy days. 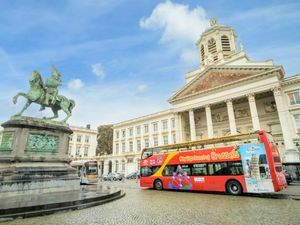 Travel around Brussels in style! Sit back, unwind and watch the world go by and see the best viewpoints this city has to offer. Experience the historical heritage and cultural monuments that give this Zeebrugge Excursion its character. Stay on for the full loop or hop off at points of interest.